Life gets busy and long term couples know the secret to a happy relationship is making time for one another. So this year instead of worrying about what to get your loved one, indulge in a couples massage, which gives you both a moment of quality time and much needed relaxation. We sat down with uber cute couple Hannah and Jesse to dig deep into their relationship and find out what a little R&R can do. Read on to find out the power of a good steak dinner, how to relax to Law and Order SVU and of course find out what romantic gangster flick you should rent this year! This holiday season we wanted to take a moment to celebrate the ladies who help make the holidays happen, our moms! From baking cookies, wrapping presents, to jazzing up the house in the ultimate holiday gear, our moms are usually going above and beyond to make the holidays special! For our Christmas posters we wanted to take a "mom"-ent to celebrate real moms in Portland with their real kiddos! Working on set with little ones was a new adventure for the Dosha Creative team but the day was the perfect celebration of these ladies and all that they do! Shanna has been at Dosha for 4 years and she always brings major style behind the chair! So, when we wanted to write a blog on the new Smashbox Always On Liquid Lipsticks- she was the first to come to mind! 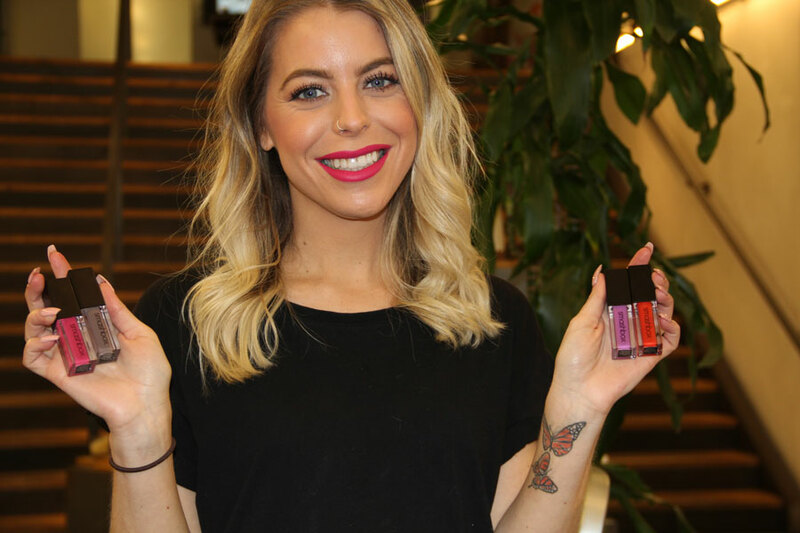 We invited her to come play with some of the new colors and products and get some ever important advice on picking and rocking the right lip color! We are BIG fans of Aveda Phomollient and this month we are giving YOU the chance to fall in love with this product just as much as us! When you make any product purchase of $25 or more you can pick this Aveda classic up for just $15! Seriously this stuff is an awesome add to your repertoire. We sat down with master stylist and big hair enthusiast, Melissa Stoner, at our 5th Ave. location to find out more about what makes this stuff so darn amazing!! 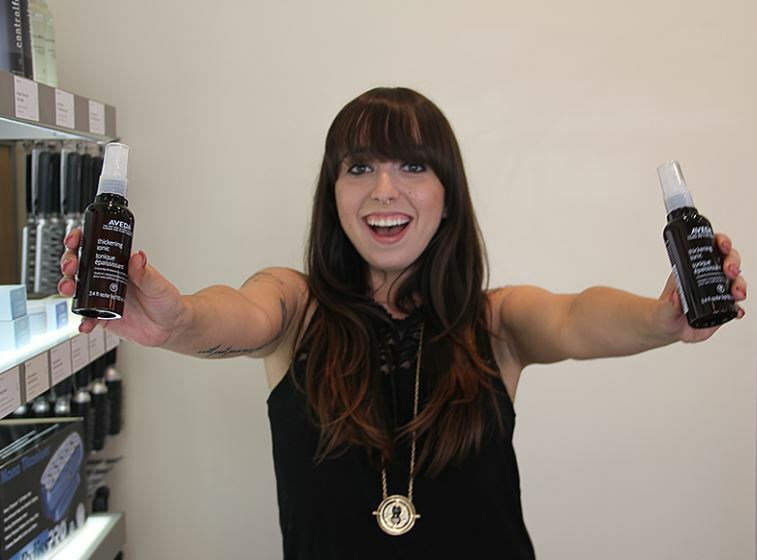 We caught up with stylist Jasmine Barron from our Clackamas location to find out more about the Aveda fave with a big time cult following, Thickening Tonic! Thin haired girls listen up, because this is a product that you must have in your beauty cabinet!